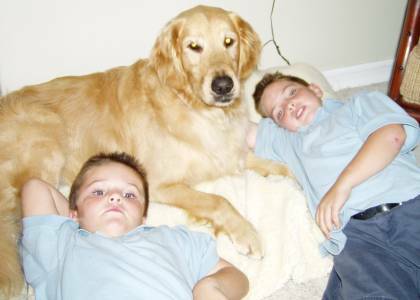 "Bailey" is a lovely Golden girl who was adopted by the Hoffman family in May 2004. 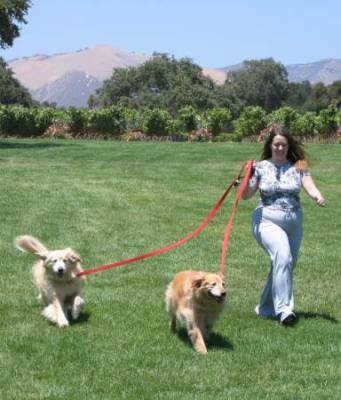 She resides with her new Golden Retriever "brother" Lazarus and human family too! Bailey (yes, quite a popular name!) 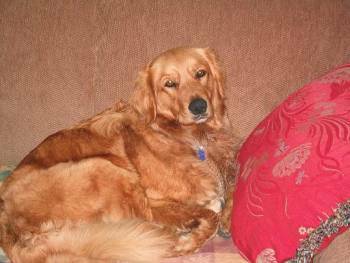 is a 5 year old male Golden Retriever who is the newest member of the Polley family! 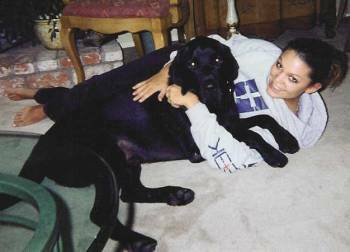 Beau, a beautiful black Lab, makes his home with the Niedzwiecki family. As you can see, napping is one of his favorite activities! 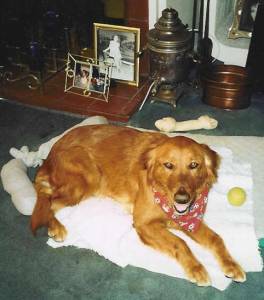 Brandy was adopted by the O'Niell family. 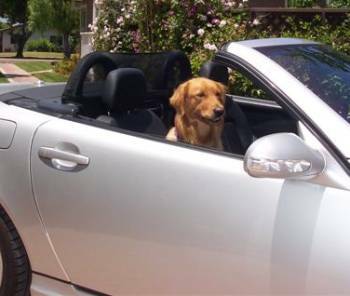 When she's not cruising in the Mercedes Benz, this Golden Retriever spends her time lounging on the sofa! Deli was adopted by the Miller family. She enjoys plenty of toys, treats and, of course, her own bed! 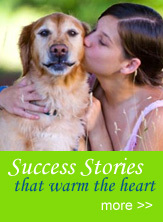 She frequents the parks and accompanies her mom on home visits! 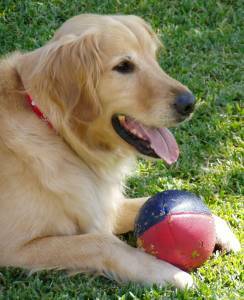 Buddy, gentle Golden Retriever, is happy at home with the Curry family! 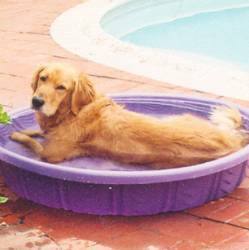 He has finished basic obedience classes and enjoys the kiddy wading pool! 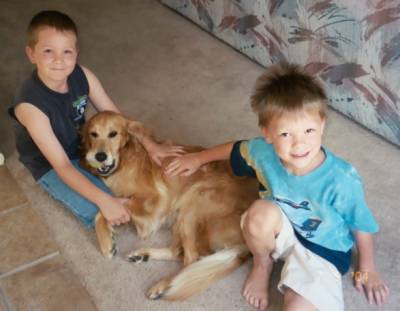 Carly, a water-loving golden girl, was happily adopted by the Kesinger family! When not in the pool, she loves to snuggle on the softa! 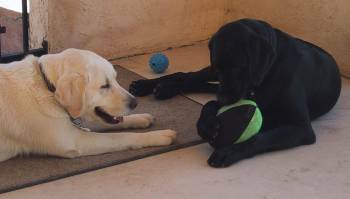 Casey (right) is shown with his new canine "sister," Foxy. Casey was adopted by the Stringfellow family. His love in life is playing with water out of the hose! 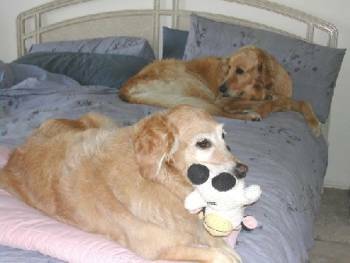 Cleo Bear enjoys the bed which she shares with her parents and new golden sister, Sierra. She was adopted by the Parks family. 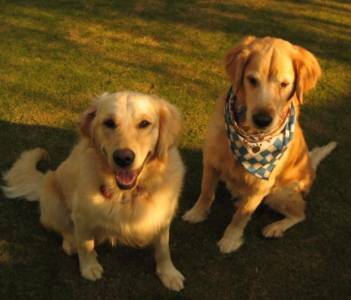 Dee Dee & Dina are lovely Golden Retriever sisters that had been given over to the shelter by their original owner. 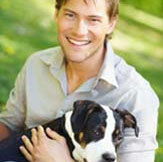 When their second owner had a baby, they came to RFSC to find a new home. 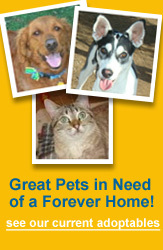 We were determined their next home would be forever. As you can see, they have certainly found their forever family. 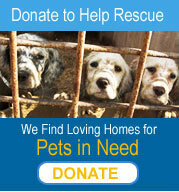 Dessie has a new name (Daisy) and a new family too! 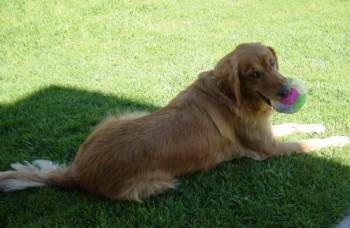 She joined the Alves family August 2004 and has an ample supply of toys. Oh yes, she has a new yellow Lab sister, Maggie, too! 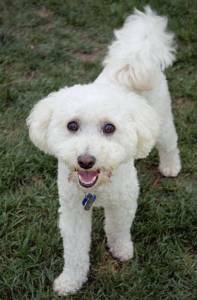 Duke (aka "Dylan"), a handsome Bichon Frise, was adopted January 2004 by the Jameson family. He shares his home with Maggie, a Cockapoo. 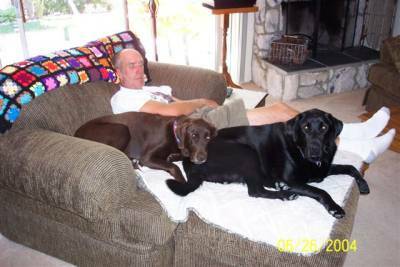 Elvis, a happy black Lab, now makes his home with the Erlandson family! 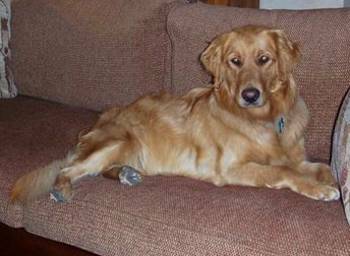 Ginger loves her tennis balls, her boys, and her couch! 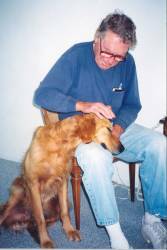 She was adopted in June 2004 by the Neufeld family.